The journey to Thailand from our home was indeed a long one. We flew from Los Angleles, CA to Narita,Japan, then continued on to Bangkok, Thailand. It was a combined 18 hours of flight time, which I said I'd never do unless I could fly first class and be super comfortable the entire time. Well, I actually did get to fly first class and I was most comfy in my accommodations. The flights didn't seem long at all considering there were numerous movies to watch and it seemed they fed us every few hours . United Airlines really does know how to provide first class service. I have to admit I indulged in the free alcoholic beverages too, and took advantage of the dark, cool, and quiet cabin for a much needed nap. It was late at night when we finally arrived. Getting through customs and out of the Suvarnabhumi Airport was a breeze. It is a beautiful airport and relatively easy to navigate. We headed for ground transportation to get a cab to our hotel. 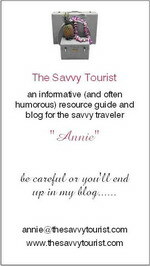 As a former travel agent, I had already done all the research as to the best way to get where we were going. I had booked a hotel near the train station that would take us to Northern Thailand the next day, and the best way to get there was by cab. Of course there were other ways, but I wasn't sure that we should be wandering around Bangkok while switching bus lines late at night. Just a feeling I had! The folks at the airport were more than helpful, and very friendly. They were actually jumping in front of us to offer their services. We were a little overwhelmed and made our first rookie mistake by taking the first ground transport service that was offered to us. Luckily, we only paid a little more than twice as much as we should, but oh well. We had yet to grasp the value of a Thai Baht but at least we ended up with a nice private car, and as a bonus we arrived safely at our hotel, which we never would've found had we been on our own. Trust me, some things are worth paying for even on a budget. was very nice and I would certainly recommend it if you need to be near the train station. It is practically at the entrance of the transportation hub. It was also very reasonably priced and our reservation included breakfast which was most enjoyable. The surrounding area, however, is very questionable and I would not plan to wander out on your own, especially at night. I won't go into detail as to how I know this, just take my savvy advice! We would be taking the first train out in the morning from Bangkok to Chang Mai. It is a very popular train for both commuters and tourists because it is considered the "express" train. The total time from Bangkok to Chang Mai is approximately 12 hours. We were only going as far as Uttaradit which was scheduled for about 6 or so hours. As it turns out, the nice people of Thailand are in no real hurry to get anywhere or do anything so the 6 hours turned into 8 hours and I have no idea how long it took to finally get to Chang Mai. I thoroughly enjoyed just hanging out at the Bangkok station waiting for the train to depart. It was my first real glimpse into the Thai culture and the condition of downtown Bangkok. I was taking pictures of everything and everyone. The locals were fascinating to me with their simple ways of living. The stories that their faces told without actually saying a word were heartwarming. I even took a candid shot of a local Monk, which when I think about it might not have been a great idea. He probably didn't want his picture taken but just couldn't tell me. Here are a few pictures from hanging out at the Bangkok Railway Station early in the morning. Many people peddle their wares as a daily source of income, not just to tourists but to locals alike. My favorite part, however, was the Dunkin Donuts booth. I was raised on Dunkin Donuts only to be without in SoCal. Imagine my surprise, after traveling half way around the world, to be able to drink my favorite coffee. would see the gold buddha statue. Upon arriving in Uttaradit, we were met by a very pleasant Thai fellow from Boon Lott's Elephant Sanctuary, who took our bags and escorted us to his truck to begin the final leg of our journey into the jungle of Thailand. It took about 45 minutes before we arrived at BLES, where we were greeted with open arms by Katherine Connor and her beautiful children. We were able to get our bags into our guest house just in time for a mesmerizing storm to come upon us. The sky was turning dark, the trees were whipping around in the wind, and the chimes were ringing sweetly. The mahouts were rushing around to finish their chores, and the children were laughing madly. It was then that I knew...this is where the magic begins. This post is part of a series so please check back for more of our adventures at BLES. For my regular readers and savvy tourists, you know I am always complaining about customer service. I am also always tooting Disney's horn whenever I get a chance. So, I was very pleasantly surprised to find a post today at Michigan Rafter (Meltwater. Torrents. Meanderings. Delta.) about great customer service at none other than Walt Disney World. Please follow this link and read the very inspiring review. I couldn't have said it better myself!!! Back in February of this year I started my "Travels to Tennessee" series which I hope you have all been following. The trip did not get off to a very good start thanks to Delta Airlines and their inability to get anywhere on time. Luckily for us the delays did not create any real problems and we eventually got where we were going, just a few hours later than expected. Now, it was time to return from whence we came and this time it was a little more critical because hubby had to depart on an International flight for work the very next morning. We were supposed to depart Nashville en route to San Diego at 1:30pm, with a scheduled 1 hour stop in Atlanta. I know that just seems wrong to travel East to go West, but if you had seen my choices you would understand. Since it was the dead of winter I was trying to avoid places like Chicago and Denver and Minneapolis due to possible inclement weather conditions, so Atlanta seemed like a reasonable choice. We arrived at the Nashville Airport in plenty of time only to find out that our airplane had not arrived on schedule. They had posted a 20 minute delay with hopes of a speedy turnaround once the airplane arrived. I was growing concerned since our scheduled layover in Atlanta was only 1 hour long. I wasn't sure just how much running time we were going to need to get from one gate to another. A few minutes later it dawned on me that everything would be just fine because, after all, I was a paying passenger! You see, usually we fly on a "stand by" basis for a seriously discounted price because of hubby's job. As glamorous as this may sound, believe me when I say it leaves a lot to be desired in the way of "perks". As a "stand by" or "non-rev" as we are sometimes affectionately known as, we get to board last, if at all. We get to hunt all over the plane for a place to stow our luggage, which is usually 10 rows behind where we are sitting and we usually get stuck in the middle seats between 2 much larger people and we are separated from our loved ones, no matter what age they are. (Although, the last time they sat my 2 year old between 2 strangers, someone graciously offered to switch seats with me...ha ha....I wonder why!) If at the last minute a late passenger shows up, you get courteously removed from your seat, you must retrieve your luggage, your loved ones and your dignity and exit the plane immediately. Now imagine a big problem like a canceled flight, a weather delay, or an oversold flight. What do you think happens to us poor "non-revs"? Nothing! We are brushed away to the side and left to our own devices. 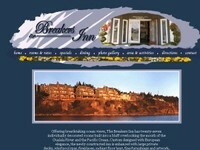 We do not get hotel vouchers, meal vouchers, taxi vouchers or one free phone call home. We do not get re-booked on the next flight because it is more than likely already full with paying passengers. We could easily be stuck in an airport for days waiting for a seat on a plane. I have actually been known to get on any plane headed in the right direction in hopes of eventually getting to my destination of choice. If you've seen Planes, Trains, and Automobiles, then you get the picture. Anyway...back to being a paying passenger on Delta Airlines. Even though there was possible trouble brewing, I wasn't worried because I was a paying passenger and would be treated with respect. Well, the 20 minute delay turned into a 30 minute delay and then a 40 minute delay and then there was an announcement. "Everyone scheduled with less than an hour and a half on the ground in Atlanta, please approach the podium". Well, that was us, so off I went to see the nice gate agent at the podium. I am being quite serious when I say he was a nice gate agent. He was very nice and efficient while explaining to me there were no more flights available that would get me to San Diego tonight. I could take a flight to Austin, spend the night and get the first flight out. That wasn't going to work at all, so he started checking other airlines. Luck was with us...we could run over to this other gate and catch a flight on Frontier Airlines through Denver and only arrive in San Diego about an hour late. He even gave us a meal voucher so we grabbed a quick sandwich on the run while headed over to the Frontier gates. It was a pretty full flight, we got on last, we were separated and our luggage was only 3 rows behind us. Beautiful, this time I paid good money to be treated like a "non-rev". On a positive note, they handed out free headsets while we boarded the plane and I saw that every seat had it's own TV screen. I found myself feeling somewhat excited about my new found adventure on Frontier Airlines, right up until I found out that you had to pay $8 to watch a movie. Free headset my foot!!! The flight to Denver was pretty much uneventful. The plane was nice, quiet and clean, the flight attendants were nice and courteous and I paid my $8 and watched a movie anyway. I am such a sucker for convenience. We arrived in Denver and guess what? It was snowing! Just what I tried to avoid in the first place. It snowed and it snowed and I just sat in front of the glass and watched it snow. It was beautiful, but I had resigned myself to camping out in the Denver Airport given the circumstances. Well, my pessimism subsided as soon as they called for boarding to begin. I guess a little snow doesn't bother the folks in Denver. It's like sunshine in Arizona. So, we were off to San Diego, on time surprisingly enough. We arrived in San Diego just an hour behind our original schedule as promised, so I guess I shouldn't complain. I just wish air travel was the way it used to be years ago. You paid a premium price, but you were treated like you were important, served like you were royalty and assisted in every way possible. It used to be a pleasure to fly somewhere. I firmly believe the first airline out there that starts concentrating on customer service will win the "War of the Airlines". The industry needs an Extreme Makeover-Airline Edition! It didn't take me long before I realized that particular Cracker Barrel wasn't that special. 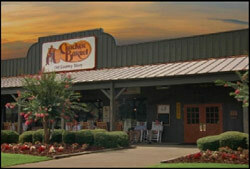 There just happens to be one located at every exit in Tennessee to meet all your hunger needs, anytime of day. Usually I dread a long drive when I am riding in the back seat, but I settled in with hubby, the Tassimo machine and my trusty iPod and I was all set. It only seemed appropriate to listen to some country tunes while traveling through the hills of Tennessee. When in Rome......ha, ha! After a few songs I was definitely in the mood for this country adventure. There was just one thing I realized - folks in Tennessee do not do anything as fast as Gretchen Wilson sings. Maybe I should have brought some Merle Haggard instead. The drive actually flew by since all the scenery was fresh and new to me. 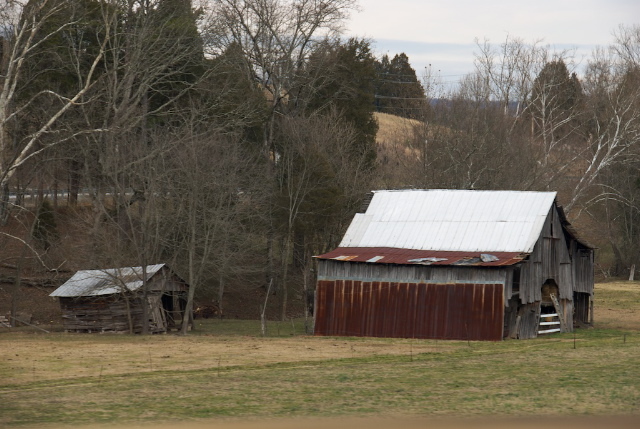 I kept myself busy trying to get a good picture of an old barn along the side of the road. I think they make the coolest pictures no matter what the season. Well, I don't care who you are, it is hard to take a picture from the back seat of a car while you're moving, but that didn't stop me from trying. As we grew nearer to our destination, I never really saw a road sign leading to Gatlinburg. What I did see was Sevierville, TN. which I had never heard of and I didn't think sounded very inviting. Upon our arrival in Sevierville, I began to understand that this was the "Tourist Trap Capitol" of Tennessee. There were restaurants, souvenir shops, museums, attractions and just all around "goin's-on" for as far as you could see. Some of the attractions that Sevierville offers include the Black Bear Jamboree Dinner & Show, Cirque de Chine, Floyd Garrett Muscle Car Museum , Smoky Mountain Deer Farm & Riding Stables and don't forget to check out Wonder Works, an amusement park for the mind with over 100 hands-on exhibits plus the Hoot N' Holler Dinner Show. We, however were there for the 2 main attractions....the Tanger Outlets and The Apple Barn Cider Mill and General Store. 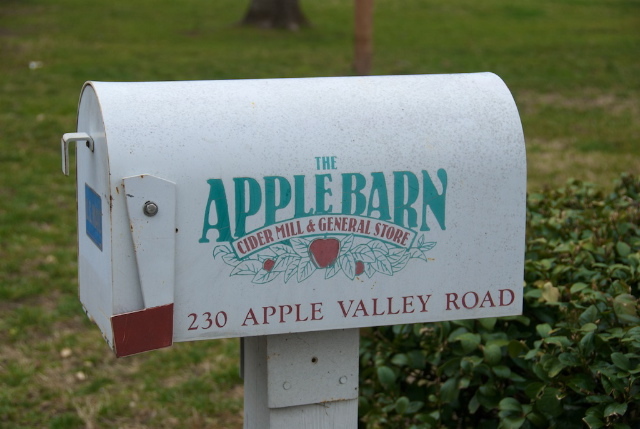 I have to admit I was anxious to see The Apple Barn. I like apples and just about all things apple related. This place had apple everything, along with a restaurant that brings apple fritters and apple juleps to the table before even taking your order. 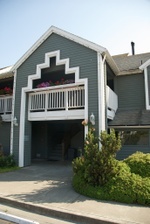 The Applewood Farmhouse Restaurant has undeniable country charm and homestyle country cookin'. My mother-in-law made sure to pick up a few "fried apple pies" for breakfast the next morning, just in case. Except for that 5 minutes into the trip we decided to stop for breakfast. We aren't exactly the world's most efficient travelers, but hey, we were hungry. We pulled into everyone's favorite southern fried restaurant, Cracker Barrel where they serve gravy as a beverage for breakfast, lunch and dinner. (They don't really, but it is a family joke so I had to throw it out there.) I have spent my fair share of time in the "South", but I never managed to be near a Cracker Barrel during eatin' time so I was pretty intrigued by "ye old homestead" ambiance that was rocking on the front porch. Just the smell of the place makes you want to live on a farm, raise your own chickens, churn your own butter, and milk your own cows.......okay, maybe not quite that bad, but it did give me a warm fuzzy feeling inside. The menu offered a lot of everything including eggs, bacon, sausage, assorted potatoes, oatmeal, biscuits and gravy, flapjacks (that's pancake to the rest of the world) and you know it......grits!!!! Now I know all you Californians out there think breakfast consists of granola and yogurt and some fancy named decaf latte, but let me tell you that you haven't lived until you have had real southern biscuits and gravy with some grits and flapjacks on the side. The coffee wouldn't be right either if it didn't come with the usual dose of good ol' southern hospitality, which loosely translated means that as soon as you get it fixed just right with equal amounts of cream and sugar, the waitress tops it off for you and you have to start all over. I read in our local paper about a web site launched by two travel industry veterans, Dr. Stanley C. Plog and Bahir Browsh. Their site helps travelers select destinations based on their own distinct personality. I visited this site to see just how this works. Well, you take a very short quiz, and from that they determine if you are a Venturer, Mid-Venturer, Centric-Venturer, Centric-Authentic , Mid-Authentic , or an Authentic. It is really quite interesting, although I do not know how accurate it is. Of course, accuracy is based highly on how honest we are with ourselves on the quiz. I came up as a Centric Venturer, and as skeptical as I was, I think they get me!!!!! I wonder how much Dr. Plog charges by the hour? Anyway, once you have determined (or they have determined) your destination needs, they provide a lot of detailed information to assist you in your vacation planning. So, check them out at Best Trip Choices.